Rifleman Tours is run by husband and wife team Tony and Allison Eden, based in Newport Pagnell, Buckinghamshire. 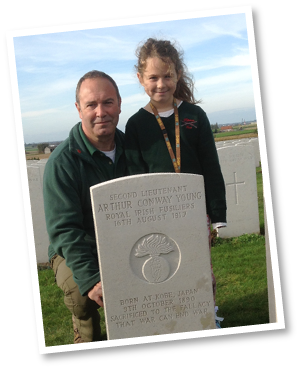 Tony has always had a keen interest in military history and has a strong bond with the World War One and Ypres. His grandfather, Rifleman William James Eden of the King’s Royal Rifle Corps was killed at Gheluvelt during the first battle of Ypres and is remembered on the Menin Gate. 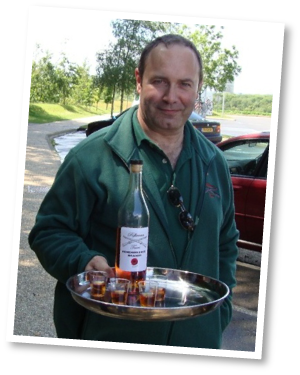 In 2010, after running a packaging company for 25 years Tony decided to turn his hobby into his occupation and start a battlefield tour company. And so, Rifleman Tours was born. Tony is a member of the Last Post Association and Western Front Association. Allison has worked in event management for over 25 years and has extensive experience in this field. 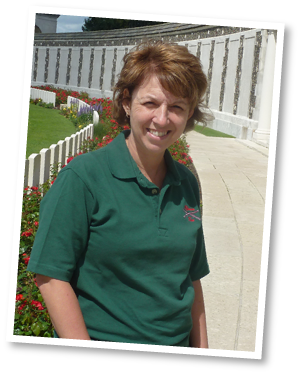 Her organisational skills and attention to detail, together with her lively, sociable character mean that your battlefield tour will be not only professional but also fun. 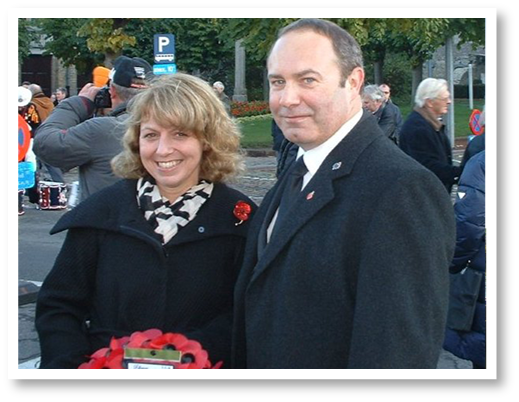 Thanks to their combination of skills, Allison and Tony are able to offer a bespoke, professional service, providing competitively priced battlefield tours which are well-organised, highly informative and enjoyable. Tony and Allison accompany every Rifleman experience, so your tour will never be left in the hands of a third party. Tony also has personal experience of all the external expert guides to ensure they meet the high standards you expect. They look forward to welcoming you on one of their tours.